The Nimbus DI from Phoenix Audio is a fully discrete Class-A circuit design, all hand-wired with military-grade silver connections into a rugged and portable steel box. The transformerless ultrahigh-impedance input stage can be used to deliver full-bodied audio for guitars, basses, synths, and drum machines in recording studio and live stage applications. 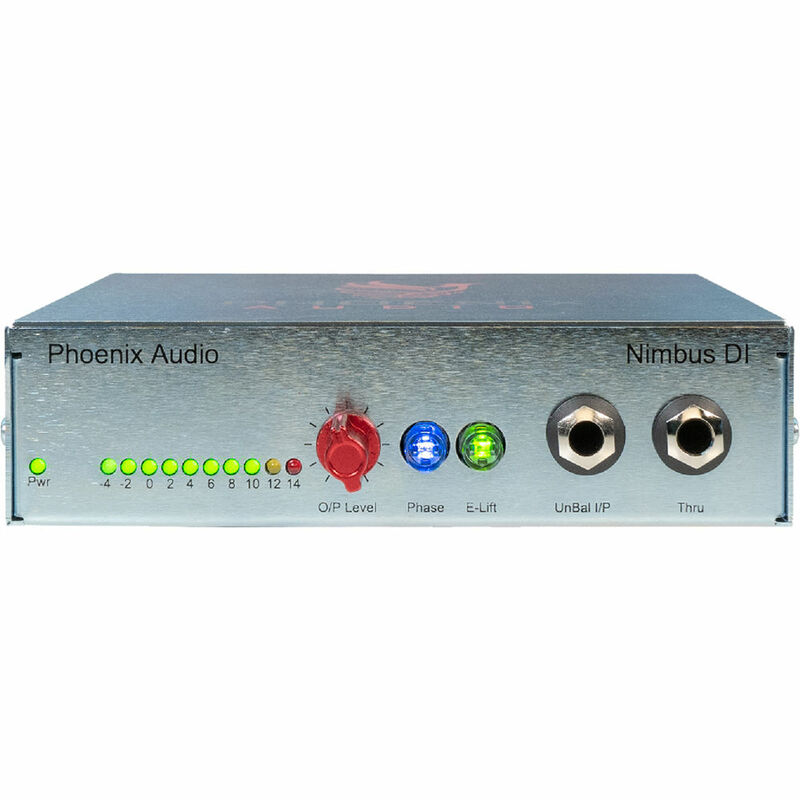 The Nimbus DI's output stage uses Phoenix Audio's own DSOP-2 output amp designed by Dave Rees for the TF1 amp (which he developed for use in vintage Neve modules). The custom-wound DB694 transformer offers enormous headroom. The DSOP-2 can be driven to taste. Deliver more gain to achieve a saturated sound, back off for a cleaner hi-fi sound, or choose any flavor in-between. In addition, the DI is equipped with a 1/4" (TS) input jack, a 1/4" (TS) through jack, and XLR and 1/4" (TS) output jacks. The easily recalled stepped gain control makes dialing in your exact sound a breeze.